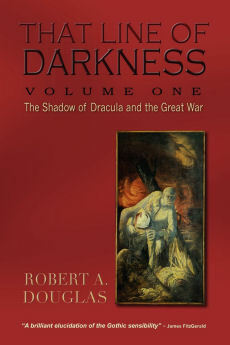 This piece was to be included in a large chapter on Wilde and Dreyfus in That Line of Darkness: The Shadow of Dracula and the Great War, Encompass Editions, 2013 but was excluded for reasons of space. 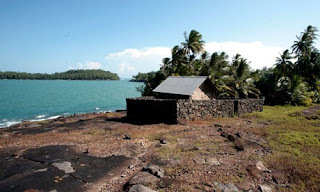 There has been little comparative historical analysis about the connections and insights that could be derived from the responses to the two cases even though the arrest of Wilde occurred three weeks after Dreyfus reached Devil’s Island to begin his incarceration for four and one-half years. 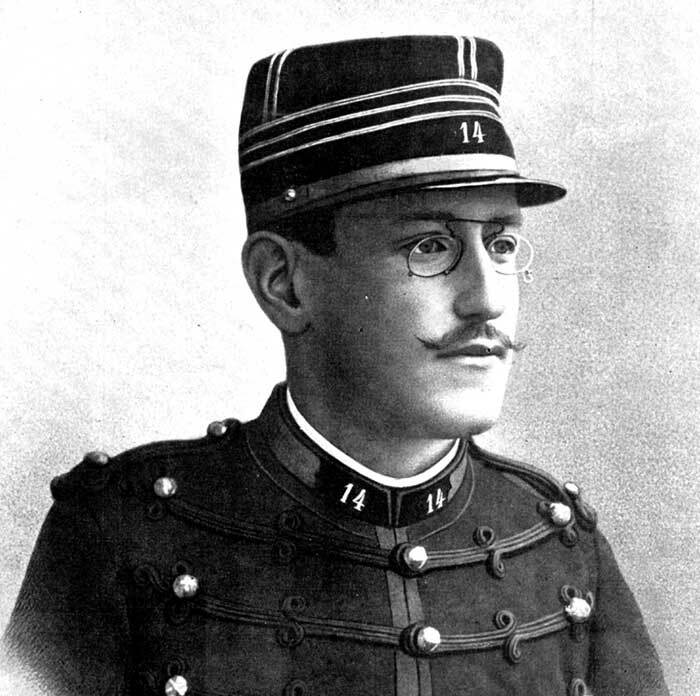 Part of the reason for this relative neglect has been that the Dreyfus Affair only became that when in 1897 the Dreyfus family named Commandant Ferdinand Esterhazy as the spy and when Zola in early 1898 wrote J’ Accuse. 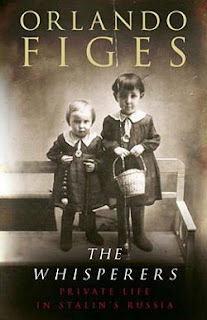 By that time, Wilde was out of prison, penniless and broken in health and spirit and, coincidentally, living in Paris when Zola wrote his missive. One of Wilde’s friends attempted without success to facilitate a renewal of his acquaintance with Zola, but Wilde balked because Zola, like several other French writers, had earlier refused to sign a petition that sought a mitigation of his sentence. 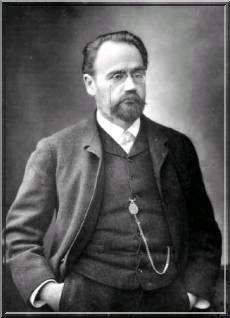 Wilde further antagonized Zola by consorting with Esterhazy, a man who perjured himself to keep Dreyfus incarcerated. 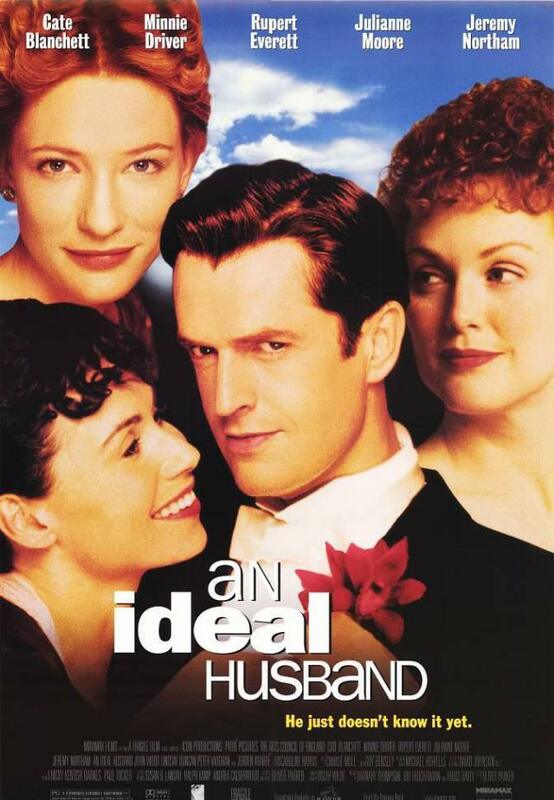 Wilde behaved badly during this period when he betrayed the confidence of a longtime friend, Carlos Blacker, who had stood by him during his trials, his time in prison and his exile in Paris. Blacker knew that Dreyfus was innocent because his friend, the Italian military attaché to Paris was the lover of the German military attaché, and Esterhazy had revealed to this man his secrets. When Wilde in turn revealed this information to Esterhazy and anti-Dreyfusard journalists, Blacker's reputation was sullied because of Wilde's duplicity. 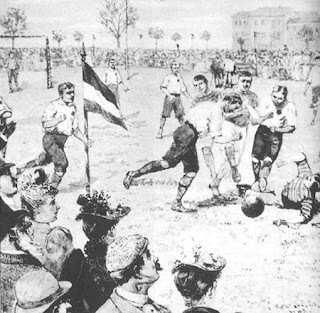 The only positive result was that Zola also acquired this information, wrote an article about it that contributed to the release of Dreyfus. But Wilde and Zola refused to meet. Beyond personal relationships, philosophically no two writers could have possessed such radically antithetical credos: Wilde’s belief that art should be an honest expression of the artist and have no utilitarian motives was anathema to Zola who passionately contended that art should be an instrument for the pursuit of social justice. 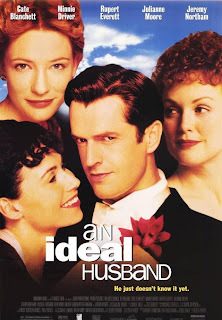 Wilde claimed that art should be aesthetically pleasing and divorced from nature; Zola, the naturalist, argued that art be faithful to the texture and grit of ordinary life by capturing the details and vocabulary of the particular milieu he was describing. Yet philosophical differences can only partially explain the fundamental cleavage between the two writers. 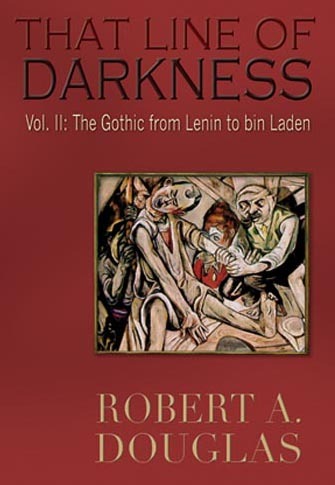 This selection was originally designed to begin the chapter, "Blood Treason" in That Line of Darkness: The Gothic from Lenin to bin Laden, Encompass Editions, 2011 but was deleted for reasons of space. Through his highly influential Foundations of the Nineteenth Century that interpreted the history of the West as a racial struggle, the expatriate Englishman, Houston Stewart Chamberlain provided an ideological blueprint that inspired both Kaiser Wilhelm ΙΙ and Adolf Hitler. By selectively recasting Wagner’s prose to give it a more xenophobic and racist appearance, the “prophet of race” elevated the cachet of the Bayreuth cult. 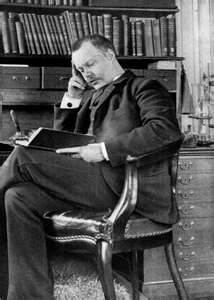 Chamberlain formulated a Germanic worldview without the master’s art and ambiguities, and most surprisingly, without a role for music drama. 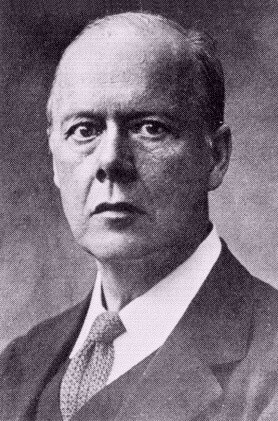 His writings, the product of descent into the miasma of Volkisch politics—that potent and seductive stew of rural nostalgia, anti-urbanism, racism, anti-intellectualism, ultra-nationalism, xenophobia and Teutonic Christianity with an Aryan Christ—provided an ideological bridge between the Second Empire under Wilhelm ΙΙ and National Socialism of the Third Reich. They also unconsciously reveal how Chamberlain resorted to Gothic tropes and conventions, notably the demonization of the other and the doppelganger, as a mechanism for externalizing his inner tumult by projecting it onto an external enemy—the Jews—and by weaving it into a phantasmagorical history. 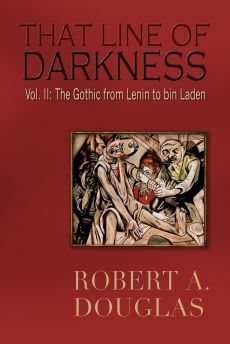 Originally designed as part of the chapter on the Russian Revolution, in That Line of Darkness: The Gothic from Lenin to bin Laden, Encompass Editions, 2013, this selection was deleted for reasons of space. 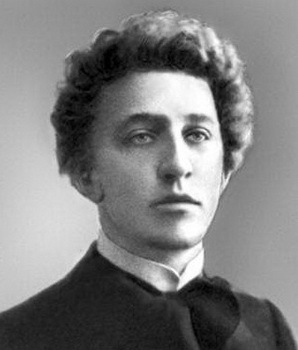 The symbolist poet, Alexander Blok, whose own estate had been vandalized and later burned, initially embraced the October Revolution because he was interested in “the soul of the revolution.” But he believed it resided in the barbaric masses. 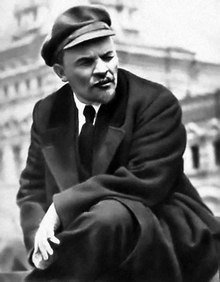 From the destruction of the bourgeois mentality, with its focus on material comfort, status, and individual and family well-being, he believed a spiritual rebirth was possible. As Blok walked the streets, he would “listen to the music of the revolution” with all its stupidity, hooliganism and horror. ‘Hey, Petey, shut your trap! To keep current with the tumultuous events in Egypt, I am providing at the conclusion of my article a number of links to authors that offer perceptive views. 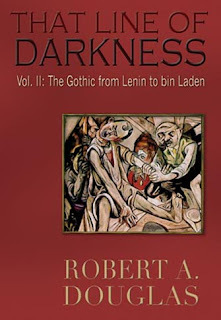 In the last few pages of That Line of Darkness: The Gothic from Lenin to bin Laden, Encompass Editions, 2013, I expressed a few cautious statements about the 2012 Egyptian Presidential election of Mohamed Morsi and the Parliamentary victory of the Muslim Brotherhood that I thought would hold true for a few years. I thought they would attempt to govern and win support by being pragmatic. I was wrong. 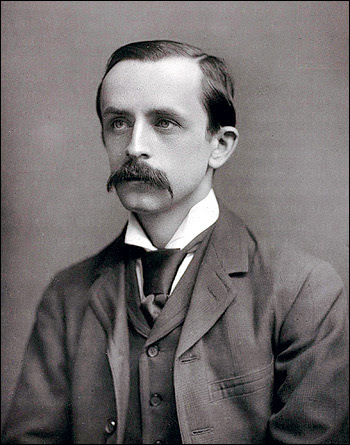 Inexperience, the seduction of power and ideology, and failure to grapple with the issues that the public regarded as urgent led to his downfall. By early July, 2013 the military deposed Morsi, arrested Brotherhood leaders, shutdown Islamist broadcasters and have installed an interim President, Adly Mansour, a Supreme Court judge (who could turn out to be little more than a footnote) with little political experience. In the largest demonstrations in the county's history, tens of thousands bayed for the removal and cheered the downfall of a freely-elected President. The military brokered a deal with representatives from a wide cross section of the population that included secularist liberals, Shiite Muslims, the Christian Coptic pope, and perhaps most surprising, members of the al-Nour Party that consisted of the ultra-conservative Salafists who believe that a strict interpretation of Sharia law should apply to everyone. 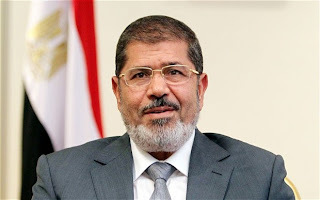 How did this coup come about and what are its implications not only for Egypt, the most populous and powerful country in the Middle East but for Islamists and democracy in there region?